The year 2017 gave people plenty to be angry and cathartic about, and the movies (in the most meta of ways) reflected that in narrative and theme. But it also did something else, something even more important; it gave us reasons to celebrate. Whether it be a film’s daring but hopeful approach to modern realism, opening our eyes to the world right within our grasp; or from the many female and African American filmmakers who caught our progressive eye; or simply from this selfish critic’s point of view, just being able to celebrate the films I love most from 2017 by sharing them with you all right here and now. The films of 2017 gave us both pain and joy, but joy always prevails, and 2017 was a damn good year at the movies. On Episode 257 (Part 2), we heavily dissected our Top 10 Movies of 2017, but for those looking for either a condensed or simply a written version of those thoughts, see below for my picks for the best films of the year (well, my favorites, because God forbid we always have to make that clarification). And much like the year’s most prominent themes, we honor both cultural and genre diversity, a year that proves open-mindedness thankfully isn’t dead; from daring commercial blockbusters to the most intimate dramas, there is no such thing as film discrimination. Now, I do encourage you to listen to Episode 257 to hear JD and I really nail down our respective picks, because you love to hear us agree all the time, don’t you? 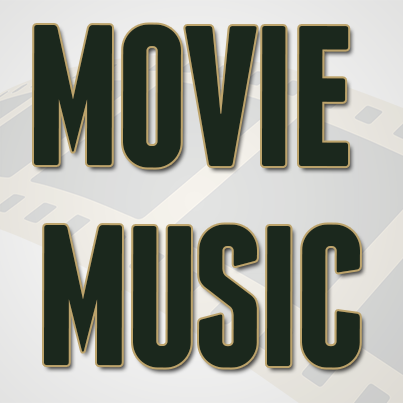 Childhood and war films seem to go hand-in-hand quite effortlessly; Grave of the Fireflies, Ivan’s Childhood, Come and See are just a few examples. 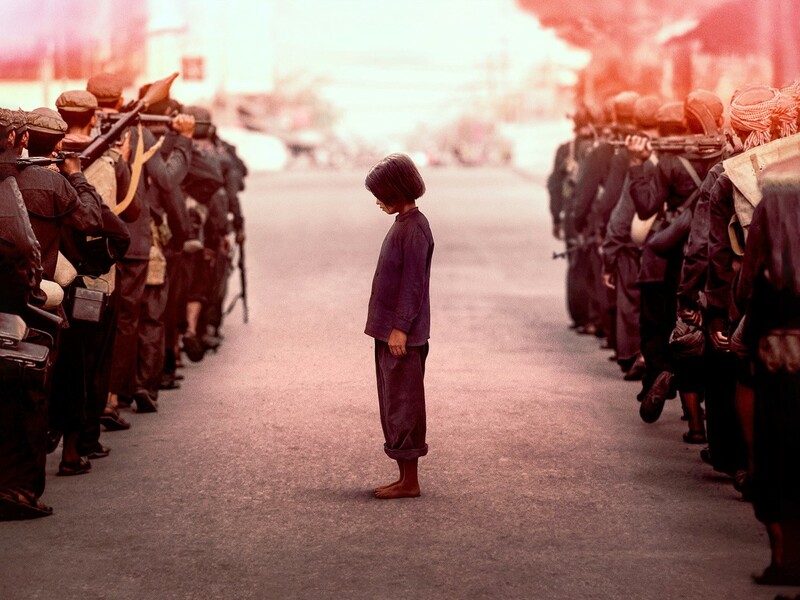 And while Angelina Jolie’s innocent Vietnam War epic isn’t quite as good as those classics, it can certainly join the conversation of the great war films from a child’s perspective. It’s that innocent eye that makes Jolie’s direction so good, as it presents a conflict much like a child would perceive it, one that isn’t so clearly understood (notice how we rarely leave young Loung’s eye-level, with the exception of a few establishing shots). The most burning question that First They Killed My Father provoked in me was a simple one; “Who is the enemy here?” And it’s a fascinatingly relevant question as it relates to wartime, not a missed opportunity. Is it the Angkar (The Khmer Communist Party responsible for such genocide in Cambodia), or is it the United States? Or both? Or none? We tailor that ambiguity to recent politics, such as the evacuation of U.S. troops in Afghanistan, and First They Killed My Father becomes a harsh look at the repercussions of military interference, a question of giving too much or not enough freedom to another nation’s government. And much like young Loung, we constantly question that. This is far and away Angelina Jolie’s finest achievement as a director. Click here to listen to our full review. 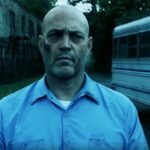 The year’s best film about brutal and emotional anger lies within S. Craig Zahler’s tribute to 1970’s exploitation films (sorry Martin McDonagh, maybe next time). 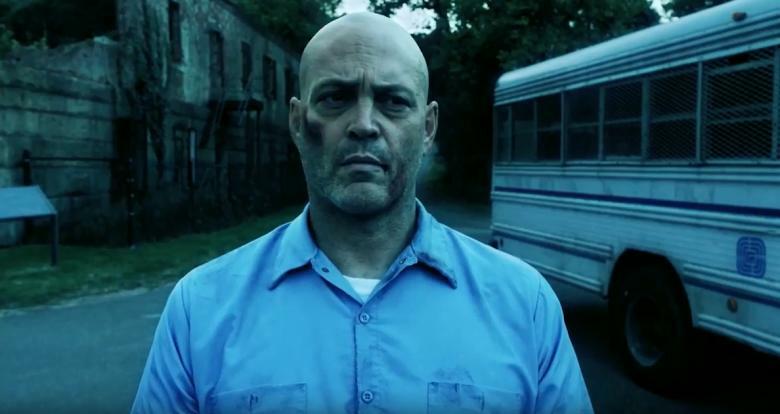 But unlike his prior film Bone Tomahawk, which I did enjoy overall, Brawl in Cell Block 99 screams with a maturity that simply calling this a grindhouse-influenced experiment would be a massive disservice. It’s a film that viscerally shows our tendencies to mask our own anger with reason and diplomacy, only until those we care about (i.e. family) get thrown into the fold. And in today’s day and age, anger and brutality seems to feel like second nature, with regard to politics (the use of the American flag here is a nice touch) or crime and incarceration (there may be an inadvertent commentary on the brutality of the prison system at work here). And in the middle of it all is Vince Vaughn, giving the best performance of his career; saddening, horrifying, and all dramatically well-earned. Click here to listen to our full review. Matt Reeves’ epic conclusion to the “Caesar trilogy” may not be the “best” blockbuster of the year (see number 7 for that honor), but it may be the most thematically daring. 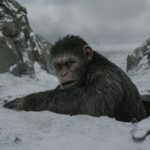 While Rise and Dawn handled Caesar’s struggle for diplomacy and cultural open-mindedness, War for the Planet of the Apes goes surprisingly against those notions. What if we live in a time when cultural indifference will always exist, and such open-mindedness is impossible? Are humans so careless and selfish that they are willing to put their kind in jeopardy by refusing to use their words (to be fair, disease has robbed some people of their speech)? And in the middle of this war (an introspective war) is Caesar, played wonderfully by Andy Serkis, a leader who makes the same mistakes humans do, embracing his selfish hate and essentially abandoning of his own kind. Perhaps Koba (Toby Kebbell from the previous two films) was right all along, and all we can do is grant mercy toward our own demographic. In the end, as nature takes its literal toll, it’s the merciful ones who survive. This new Planet of the Apes trilogy does not get enough credit; they are well regarded upon release, and then seem to slowly fade into obscurity. It’s legacy doesn’t deserve such treatment, just like Caesar himself. Click here to listen to our full review. 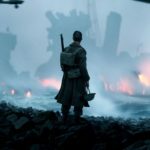 Now if we can indeed consider Christopher Nolan’s WWII epic a blockbuster film (and we can certainly argue that it’s not), Dunkirk would win that honor as the year’s best blockbuster. A most visually immersive 70mm experience (without the 3D gimmick), Dunkirk is so huge and so vast that you may as well have stepped into a time machine. 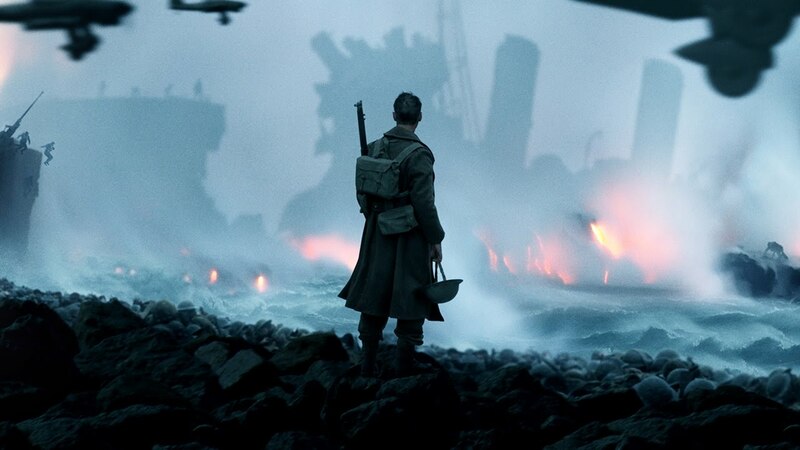 And yet for such visual scale, the film is ironically simple and minuscule underneath; it is clear Nolan is much more concerned with questioning heroism than simply presenting it in a superficial way (there are no Desmond Doss’s here), and I will continuously defend Dunkirk and its limited narrative and characterization, as doing so makes the film just as humanly immersive as it is visual. Nolan’s approach forces us as audience members to question how we would act in such situations, emphasizing the simplicity of heroism; Nolan chooses to put more weight in opening a door to save someone, or helping to bury a dead companion, than he is with saving a life. This makes Dunkirk surprisingly rewatchable, even on the small screen at home, and it easily ranks as one of Christopher Nolan’s best films. 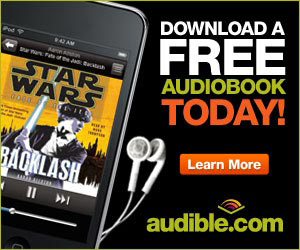 Click here to listen to our full review. Greta Gerwig’s directorial debut has already one the hearts of many, but why is that? 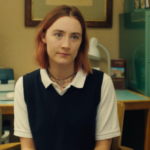 Not all of us transitioned into adulthood as a young Catholic-school bound girl, but Gerwig sidesteps the specificity of Lady Bird’s subject matter for something more relatable; a child’s desire to be seen as above average. Christine (“Lady Bird”) doesn’t just want to be noticed, she wants to be commended for being noticeable, putting her at odds with her loving but perhaps too realistic mother Marion (a wonderful Laurie Metcalf), who simply wants whats best for Christine in the most grounded and inexpensive ways; couldn’t we say the same thing about all parents just sending their children off to college? Gerwig never shies away from both “Lady Bird” and Marion’s selfishness, neither one is the hero nor villain of this story; “Lady Bird” wants to challenge herself, while Marion (like all parents) just wants to remain close with her daughter. 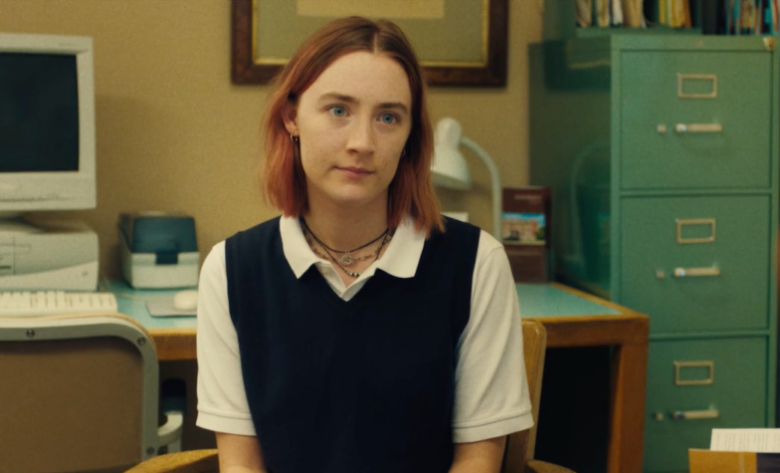 It’s Gerwig’s simplicity, her use of nostalgia and sense of place (Sacramento, CA is very much a character here), but also her comedic timing that makes Lady Bird one of the most earnest coming-of-age films of our time, and also one of the funniest. Click here to listen to our full review. Paul Thomas Anderson knows how to surprise his audience, even his most devoted fans, and Phantom Thread continues that trajectory. A synopsis barely scratches the service here (a renowned dressmaker in 1950’s England played by Daniel Day-Lewis, in what may be his final role); we go to a PTA film for the tonal experience, and an experiment into a character’s mental ambiguity. What starts out as a look at an artist’s obsession with his own craft soon turns into a sadistic yet satirical look at relationships and dominance, men and their relationship with women, and relational control. Those who were fans of PTA and Day-Lewis’s last outing together (There Will Be Blood) will find a lot to love in Phantom Thread, but also a lot that’s different than anything PTA has ever done. 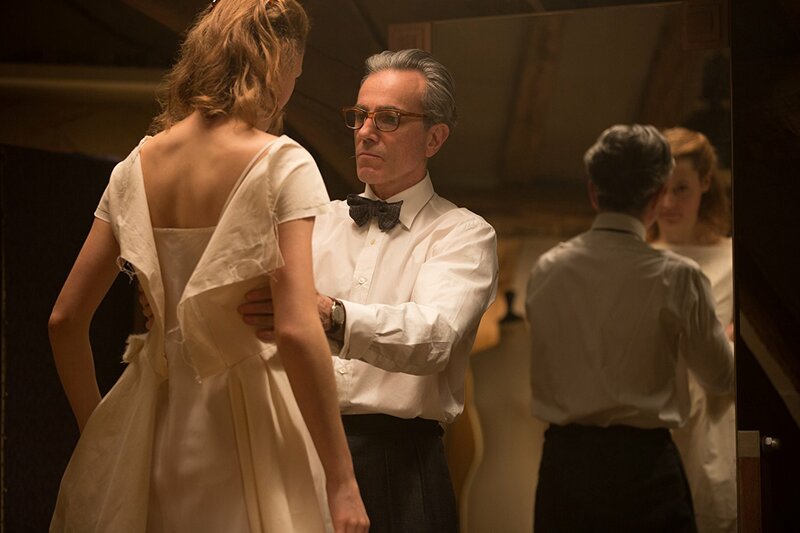 Phantom Thread just may be the funniest film of PTA’s career, and may be the year’s best romantic comedy. It may also be one of the year’s best ghost stories, if only my number 4 pick didn’t come out in 2017. Add in Jonny Greenwood’s playfull jazzy score, and PTA has done it again. If only David Lowery’s out-of-body experience didn’t exist, I would be calling Phantom Thread the year’s best ghost story. But alas, thank David Lowery for taking the chance, using the profits from Pete’s Dragon (a VASTLY underrated family film), to craft what may be the year’s most intimately felt film, and also the most contained. 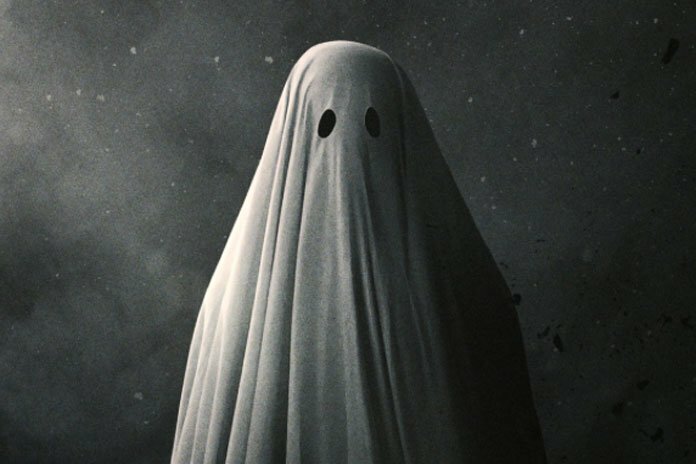 With the use of cinematographer Palermo’s tight aspect ratio, A Ghost Story takes advantage of the notion “sense of place”, creating something that feels claustrophobic and impossible to escape; quite appropriate too, given the fact the film remains in one single location throughout its entire 90 minute runtime. The only change that occurs is the progression of time, using nostalgia as a painful enemy in one’s fading legacy; Lowery feeds on that idea, alongside how we feel so drawn to our past homes, expressing pure emotion without blatantly expressing what that emotion is. 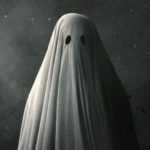 And with regard to fading legacy, Lowery makes A Ghost Story a welcomed reversal of traditional ghost stories, one in which memories are mortal beings just like humans, and that they will eventually die. All we can do is endure in our present, and take what we can into the next life, knowing that forever doesn’t exist. It also gave me a craving for pie. Click here to listen to our full review. If only more general audiences knew who Todd Haynes was, then perhaps we could have seen more appreciation for Wonderstruck, a film that is very much a Todd Haynes film, just as visually grand and experimental as his prior work, only one that kids can also see. Haynes’ “family friendly” mystery is a much more simplistic film, but also a curious one, a film bathed in childhood curiosity with visual exuberance and dramatic poignancy. The narrative, based on Brian Selznick’s book with its dualing time periods (between the 1970s and 1920s), is largely uneventful, and it’s clear Haynes is more interested in the desires of childhood than any grand story; a child simply wants to belong, wants to find a family, and sees things with that visual exuberance to communicate their story. Hence the film’s gorgeous cinematography matches the film thematically, a film all about the legacies buried deep within the physical and objects from the past (museums symbolically fill that role). In other words, Wonderstruck is about visual storytelling, and any child should be able to relate to that; this also gives the film’s notions on deafness an added poignancy without ever feeling cheap. Keep your eye out for Millicent Simmonds, a young and deaf actress who breaks your heart here. Click here to listen to our full review. It would be easy, but superficial, to lump Call Me by Your Name as just a romance film between two young men (well, a young man and a boy), but director Luca Guadagnino thankfully has a lot more on his mind. Led by Elio’s youthful spirit (a wonderful Timothée Chalamet), Guadagnino’s sensually charged film is more concerned with adolescent confusion and uncertainty, where such sensual urges result from said confusion; Elio’s relationship with exchange student Oliver (an underrated Armie Hammer) effortlessly moves from summer fling to gradual intimacy, moving at a calm and steady pace but with an aura of caution, giving the film’s romance a steady progression to it. Much like Barry Jenkins’ Moonlight last year, Call Me by Your Name is more of a coming-of-age film dealing with the sexual confusion of childhood, and it’s refreshing that films like this, Moonlight, and even Todd Haynes’ Carol from 2015 have more flawed and confused characters front and center, without ever resorting to a preachy progressiveness just for the sake of it. Therefore, Call Me by Your Name, despite some of its graphic sensuality, never veers too far into hedonism, and the devastaing final minutes (a fatherly monologue and phone call) recontextualizes the entire film as we learn how Oliver may have been just as emotionally confused as Elio, despite his confidence and his poise. And with the symbolic use of nature and the gorgeous Italian backdrop, circa 1983, Call Me by Your Name reexamines the notions of sexual innocence, with saddening results. Click here to listen to our full review. “You know why this is my favorite tree? 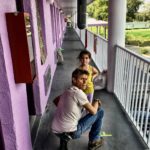 ‘Cause it is tipped over, and it’s still growing.” A film of childhood innocence, motherhood, and poverty all rolled into one, Sean Baker’s The Florida Project invites us into the unfamiliar sector of a familiar world; much like his previous film Tangerine, Baker depicts a world just outside and at an arm’s reach from the privileged and financially stable, in this case the richness of Walt Disney World in Orlando, FL. 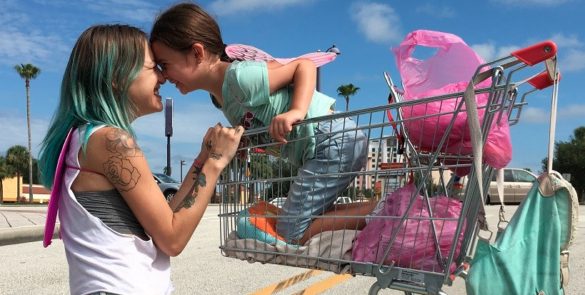 The Florida Project is the year’s most vulnerable experience, so it should be no surprise that vulnerability is one of its central themes. This vulnerability is especially true when viewed through the eyes of a child, a child who attempts to always evoke an all-tough exterior, something as children I’m sure we could all relate to; young Moonie (played by newcomer Brooklyn Prince) has no care or worry despite the financial severity of her home, and perhaps that’s because her mother Halley (wonderfully portrayed by Bria Vinaite) shares that same ignorance. Mother and daughter are splitting images of one another here, and as an audience member we cannot help but simultaneously hate and pity Halley; she’s an awful mother, and yet we recognize a genuine mother’s love still exists in her, despite going about it in perhaps the most unethical ways. Halley may regress throughout the film, but it’s Moonie who comes to reality and embraces her defenselessness once she recognizes just how severe their circumstances are, in what is perhaps the most tear-inducing moment of the year for me. 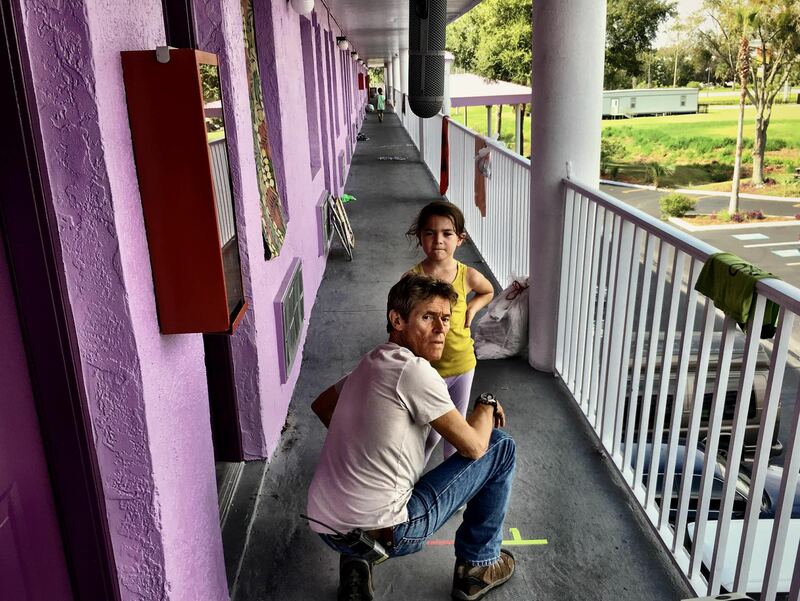 Coupled with Alexis Zabe’s vividly ironic cinematography, and a supporting performance by Willem Dafoe as perhaps a failed parent in his own way, and The Florida Project is nothing short of authentic perfection. Click here to listen to our full review. Let us know what you think. Do you agree or disagree? We’d like to know why. 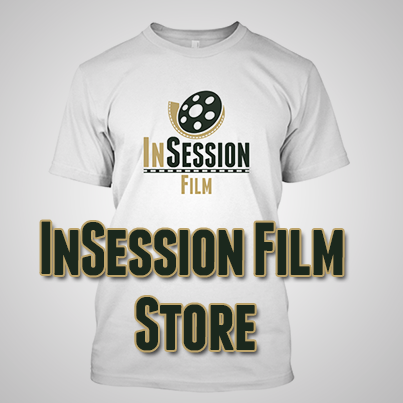 Leave a comment in the comment section below or tweet us @InSessionFilm. 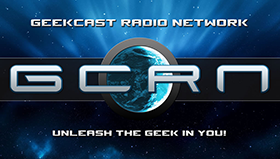 To hear us discuss our InSession Film Awards and our Top 10 Best Movies of 2017, subscribe to us on iTunes, Stitcher, Soundcloud or you can listen below.